How to add purchased inventory items from Banking tab? I like to enter SKUs, Qtys of each item in one entry. Assuming you have QuickBooks Plus Plan, you will first need to ensure that in company settings you turn on the Items table and Purchase orders. (Gear icon at the top > Your Company > Account and Settings > Expenses > Bills and expenses and Purchase Orders (if needed) > ON). 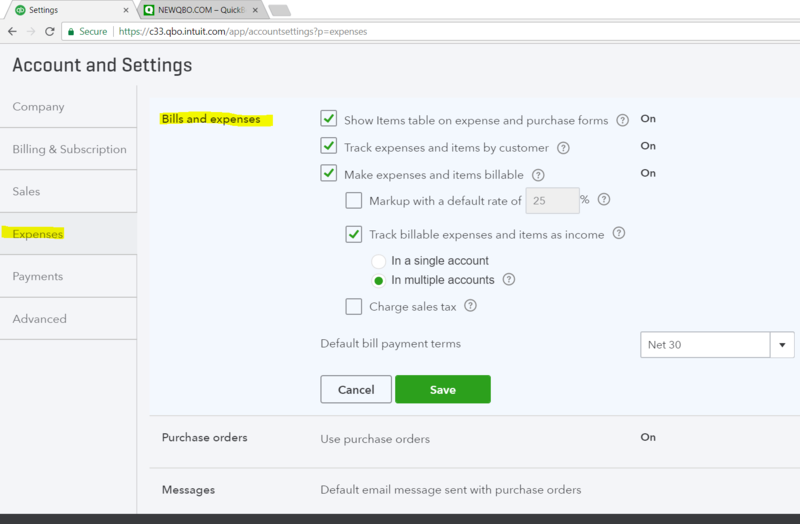 First, you will have to manually create a transaction in QBO. You enter an Expense, Check or Bill form (create + sign > Vendors), about halfway down the left side is a title “Item Details” tab, NOT Account details tab. Click that and a table opens where you can select the product/service item code, SKU, Qty, Rate, and Item-Total cost for purchasing inventory. Second, you then go back to the Banking tab. You should see MATCH green button for that transaction. Click Match and it will move to QuickBooks register.